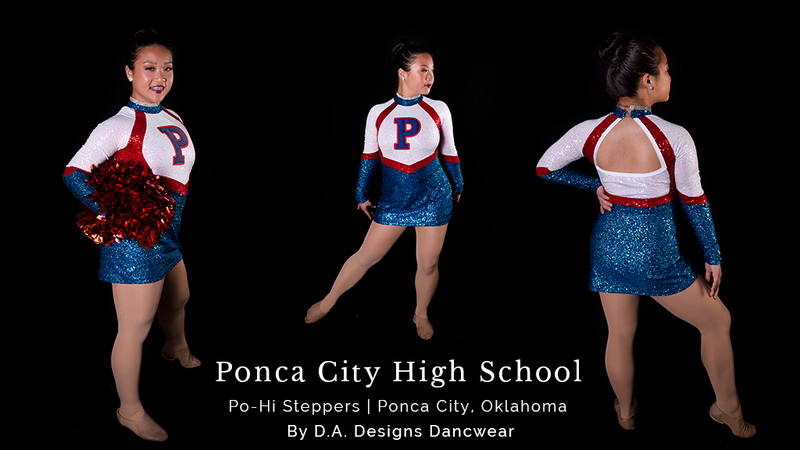 We designed these pom costumes for the Po-Hi Steppers at Ponca City High School in Ponca City, Oklahoma. 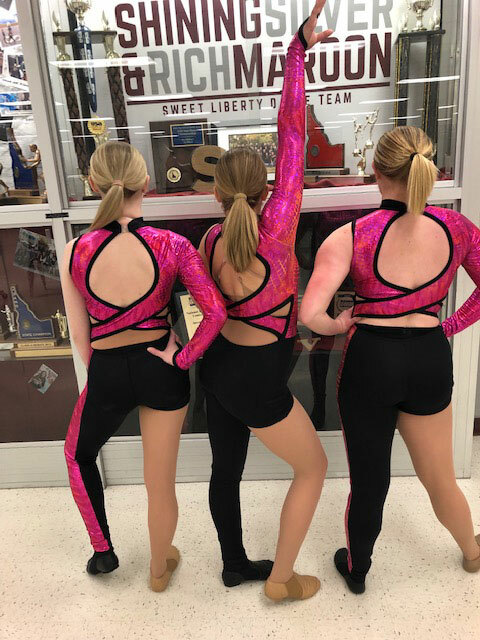 They needed 40 costumes created for their Pom Routine at their Nationals Competition, no pressure right? They wanted a fully sequin pom dress that was eye-catching, both of which are things that we love and enjoy designing! 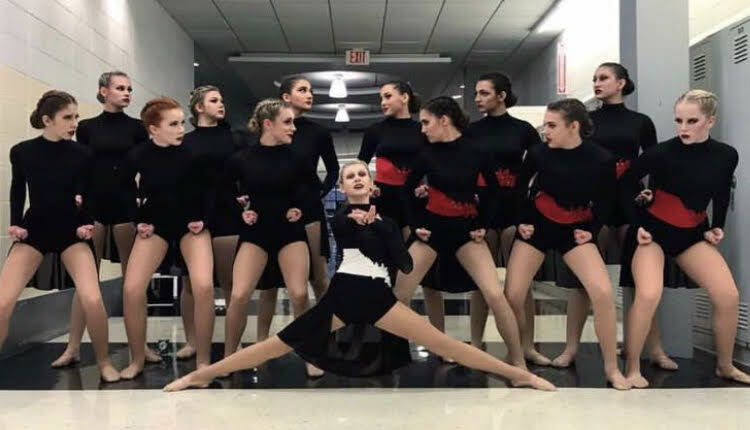 In a group of 40 girls, they needed each costume to fit the different needs of each Stepper while being comfortable and fun to dance in. 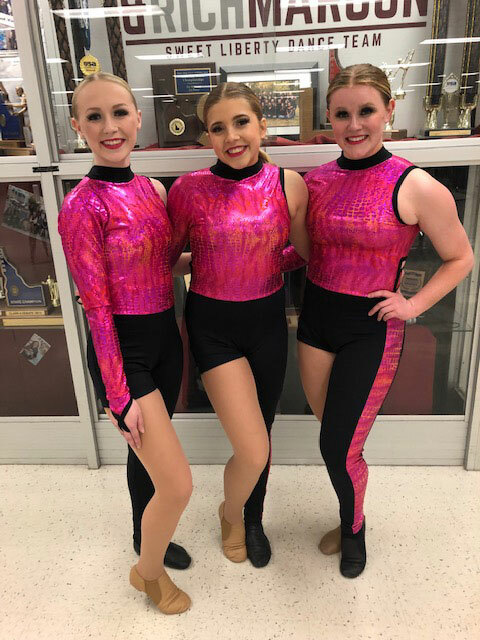 We were happy to deliver these eye-catching and comfortable costumes to our friends at Ponca City High School and we look forward to working with them next season! 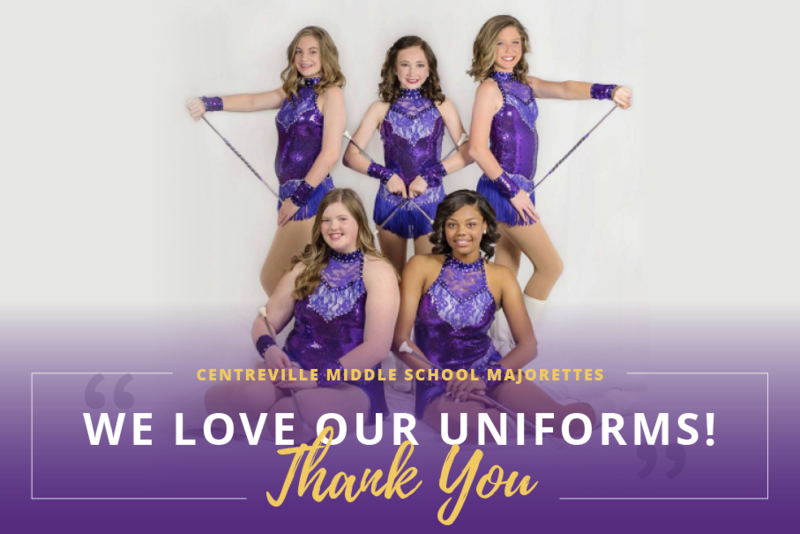 The next time you’re preparing to step like the Po-Hi Steppers in a performance or competition, remember that you can get free design advice from our custom dancewear designers. Click the “GET FREE DESIGN ADVICE” button below and tell us a little about what you are looking for and we will give you suggestions on how to best outfit your team and what it might cost.